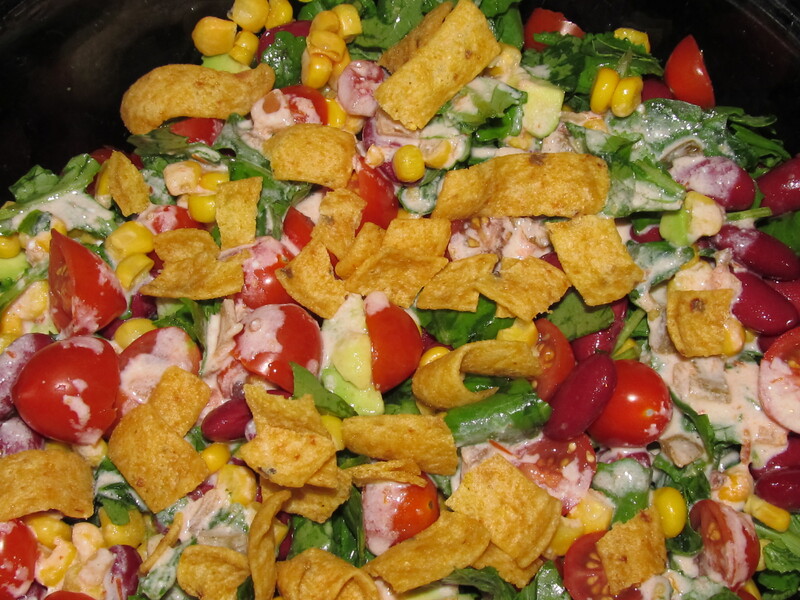 Assemble all vegetables in large serving bowl and top with corn chips. Mix dressing using recipe below and pour over salad just before serving. Add salsa and ranch dressing to small mixing bowl whisk together,and pour over salad just before serving. Process in food processor until dill and parsley are completely ground fine. Store in a labeled container, in the refrigerator or freezer. Place all ingredients in pint canning jar and whisk together. Put lid on jar and store in refrigerator.